Our eyes are one of the first areas of the face to show the telltale signs of aging. This is due to the fact that the eyes have some of the thinnest skin on the body, more prone to showing the collagen loss and sun damage that come with the passing years. This is unfortunate because most people say that the eyes are the focal point when meeting a person for the first time. Eyelid surgery (blepharoplasty) with Dr. James can head off some of this aging, and return younger-looking eyes to the patient. Eyelid surgery can remove or reposition excess fat deposits in the upper eyelids, eliminating puffiness. On the lower lid, excess skin is removed and the underlying muscles tightened to address bags and wrinkles. The clinical name for eyelid surgery is blepharoplasty, and every year it is one of the most popular cosmetic surgeries in the world. The procedure involves removing excess skin and usually repositioning underlying fat on one or both eyelids. In some instances, eyelid surgery is a necessity because the upper lid is sagging enough to actually impact vision. Usually, however, the procedure is aesthetic in nature. It is one of the most rewarding procedures because eyelid surgery is thought to take up to 10 years off the patient’s face. Plus, other people don’t know you’ve had any procedure performed — in contrast to more obvious procedures such as breast augmentation or a facelift — they just know you somehow look younger and less tired. View Cleft and Facial Cosmetic Surgery Center’s Before and After Gallery to see real eyelid surgery patient’s results. Who could benefit from blepharoplasty? Eyelid surgery is an equal opportunity procedure — it benefits both women and men. In fact, more and more men are opting to have the surgery to keep up with younger counterparts at the office. Potential patients cannot have any eye conditions such as glaucoma, dry eye, or a detached retina, as these can interfere with surgery. Otherwise, almost all people over the age of 40 could truly benefit from eyelid surgery. What is blepharoplasty surgery like? The goal of blepharoplasty is to tighten the skin and lessen or remove puffiness and sagging. The procedure is delicate and involves small incisions. Patients can opt to have Dr. James perform eyelid surgery on one or both eyelids. In the upper eyelid, the incision is made in the natural crease of the eyelid, concealing it effectively. Excess skin is removed, fat repositioned or removed, and the underlying muscle tissue tightened. In the lower eyelid, there are two options for the incision. It can be made just below the lower eyelash or inside the lower eyelid. With the lower eyelid, excess skin is often the culprit and is removed to eliminate puffiness and bags. Dr. James pays particular attention to fat in both eyelids, and his extensive experience is important. Some doctors remove too much fat, leaving the patient with a hollow look in the area. Dr. James usually leaves most of the fat, opting to simply reposition it to maintain a natural look. What is recovery like with eyelid surgery? While you would think surgery in such a delicate area would require extensive recovery, this is not the case. Recovery from eyelid surgery is not difficult and doesn’t require extended time. After your surgery, we supply you with a cold compress and lubricating eye drops. If you are diligent with the compress, your swelling and bruising can be mitigated. In most cases, your stitches are removed in about one week and your eyes, while there may be some slight residual swelling, will usually look great already. Most patients are able to resume normal activities after 7-10 days with bruising and swelling starting to disappear after two weeks. 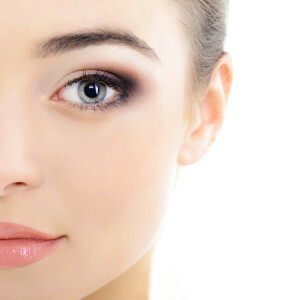 Visit Dr. James, New Orlean’s preferred cosmetic surgeon, to learn more about eyelid surgery. Call (504) 378-2030 to schedule your consultation. You can also learn more about blepharoplasty and our other offered services on Cleft and Facial Cosmetic Surgery Center’s blog!